N Music Production is a company based in Barcelona devoted to audio recordings in stereo, surround and 3D formats. The production company has made numerous classical and contemporary music recordings for various labels, radios and televisions, as well as selected surround contemporary music albums for Neu Records label. As producers, N Music specialize in recordings of classical and contemporary music, as well as in systems for surround and 3D recording and reproduction. and devoted to audio recordings in stereo, surround and 3D formats. The production company has made numerous classical and contemporary music recordings for various labels, radios and televisions, as well as selected surround contemporary music albums for Neu Records label. As producers, N specialize in recordings of classical and contemporary music, as well as in systems for surround and 3D recording and reproduction. N has produced many classical and contemporary recordings for various labels, and is related to Catalunya Música –part of the Catalunya Ràdio group of stations– and RTP Antena 2 (Rádio e Televisão de Portugal), both classical music stations that participates in EBU (European Broadcasting Union). N has recorded more than 1.000 classical and contemporary concerts in the most prestigious venues of Catalonia and Portugal: l’Auditori, Gran Teatre del Liceu, Palau de la Música Catalana, Fundação Calouste Gulbenkian, Casa da Música, Festival Castell de Peralada, Festival de Músiques de Torroella de Montgrí, Schubertiade Vilabertran, etc. San Francisco Symphony Orchestra, Akademie für Alte Musik Berlin, Il Giardino Armonico, Freiburger Barockorchester, Orchestre National de France, Mariinsky Theatre Symphony Orchestra and Choir, Orchestre de la Suïsse Romande, Orquestra de Cadaqués, Orquestra Simfònica i Cor del Gran Teatre del Liceu, City of Birmingham Symphony Orchestra, Pittsburgh Symphony Orchestra, Europa Galante, Le Concert des Nations, Mahler Chamber Orchestra, Birmingham Contemporary Music Group, CrossingLines Ensemble, London Sinfonietta. René Jacobs, Daniele Gatti, Giovanni Antonini, Christian Zacharias, Eiji Oue, Jordi Savall, Josep Pons, Franz-Paul Decker, Oliver Knussen, Sebastian Weigle, Giovanni Antonini, Mikhaïl Pletnev, Peter Phillips, Jesús López Cobos, Daniel Barenboim. Plácido Domingo, Sondra Radvanovsky, Juan Diego Flórez, Jonas Kaufmann, Juliane Banse, Barbara Hannigan, Diana Damrau, Anna Netrebko, Christianne Stotijn, Nikolay Borchev, Andreas Scholl, John Potter, Martha Argerich, Valeriy Sokolov, Evgeni Bozhanov, Bertrand Chamayou, Leif Ove Andsnes, Khatia Buniatishvili, Mihaela Ursuleasa, Julius Drake, Wolfram Rieger, Arthur Schoonderwoerd, Olivier Latry, Simon Johnson, Mischa Maisky, Eckart Runge, Piotr Beczala, Andreas Staier, Ferhan & Ferzan Önder, Alexei Lubimov, Christian Tetzlaff, Viktoria Mullova, Gidon Kremer, Daniel Sepec, Hilary Hahn, Pekka Kuusisto, Marie-Elisabeth Hecker, Barbara Hendricks, Alisa Weilerstein, Sol Gabetta, Benjamin Alard, Erik Bosgraaf, Vadim Repin, Alice Sara Ott, Lars Vogt, Thomas Quasthoff, Fabio Biondi, Ian Bostridge, Mojca Erdmann, Maria Hinojosa, Elisabeth Leonskaja, Bejun Mehta, Felicity Lott, Philippe Jaroussky, Christine Schäfer, Rudolf Buchbinder, Angelika Kirchschlager, Ida Falk Winland, Roberto Alagna, Alexandre Tharaud, Andrea Marcon, Iuliana Avdeieva, Xavier Sabata, Victor de la Rosa, Viviane Hagner, Daniel Müller-Schott, Jonathan Gilad, Juan de la Rubia, Pau Codina, Silvia Perez Cruz, Sarah Chang, Frank Peter Zimmermann, Mikhail Ovrutsky, Christoph Prégardien, Javier Perianes, Joyce DiDonato. 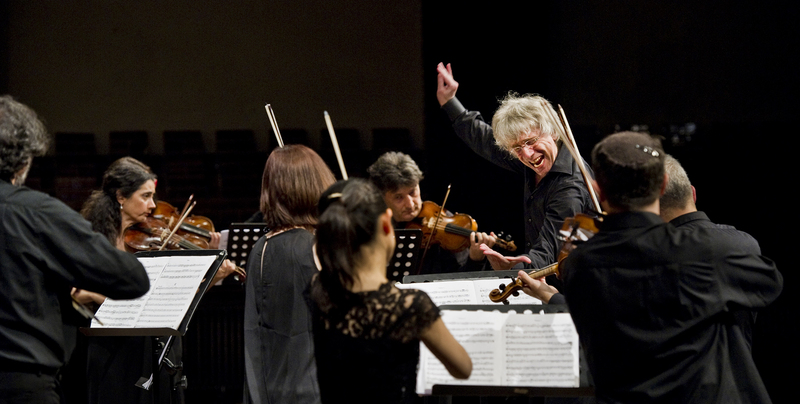 Quatour Diotima, Modigliani Quartet, Arditti string Quartet, Cuarteto Casals, Pavel Haas Quartet, Trio Parnassus, Fine Arts Quartet, Tokyo String Quartet, Trio Capuçon, Apollon Musagète Quartett. Latvian Radio Choir, RIAS Kammerchor, Collegium Vocale Gent, Stile Antico, St Petersburg State Capella Choir, Neue Vocalsolisten de Stuttgart, Nederlans Kamerkoor, Cor de Cambra del Palau, Cantus Cölln, Escolania de Montserrat, Orfeón Donostiarra, Psallentes.